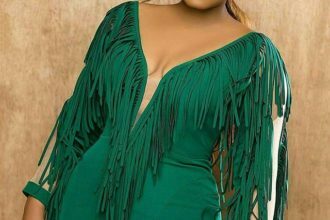 According to IFactory Live, the producers of the upcoming reality TV show ‘The Real Me’ by actress, Omotola Jalade Ekeinde, the show will commence on Thursday, December 6, 2012 and will be aired on the Africa Magic entertainment channel for a total of 13 weeks. Omotola’s new show was shot in different locations in Lagos, London, Ghana, Miami and Kingston (Jamaica) and will afford the fans and critics of the star, an opportunity to have a closer view and exclusive look into the actress’ personal life. The 34-year-old actress says the entire shoot was true to the concept of the show which was to help create a bond with her fans, ‘You will get to see everything. What we are doing is very real. It’s basically my whole life. The parts where I’m taking care of the kids, the parts where I’m taking care of the home, the parts when I am working, the parts where I’m yelling. It’s crazy. My life is crazy’, she reportedly said. Omotola Jalade Ekeinde is an actress, a wife, an activist, singer and a mother of 4 kids. We can’t wait to watch her show..